Last week I travelled over to Derby to attend a workshop organised by Mark Piney, the new BOHS “topic lead” on control of exposure. The objective was to explore the key issues on control that BOHS could be working on, and to try to decide on priorities. The workshop started by exploring the experiences and perspectives of occupational hygienists and related professionals from different sectors. As part of this I was asked to make a short presentation giving the perspective an occupational hygiene consultant. These are the key points I made during my presentation. To me the main objective is the control of health hazards. The other aspects (anticipation/recognition and evaluation) are important steps in a process leading to control. They are a means to an end, rather than an end in themselves. Unfortunately, most people, including, in my experience, many health and safety professionals, haven’t heard about occupational hygiene. Where they have their knowledge is usually minimal and their impression is that occupational hygienists are all about sampling and measurement (i.e. evaluation). As consultants we’re often called in to carry out sampling for clients who often don’t expect us (and in some cases don’t want us) to advise on the control of exposure. Nevertheless, as committed professionals we inevitably will comment on control as we usually find there are ways in which exposure can be reduced when we undertake a consultancy assignment. 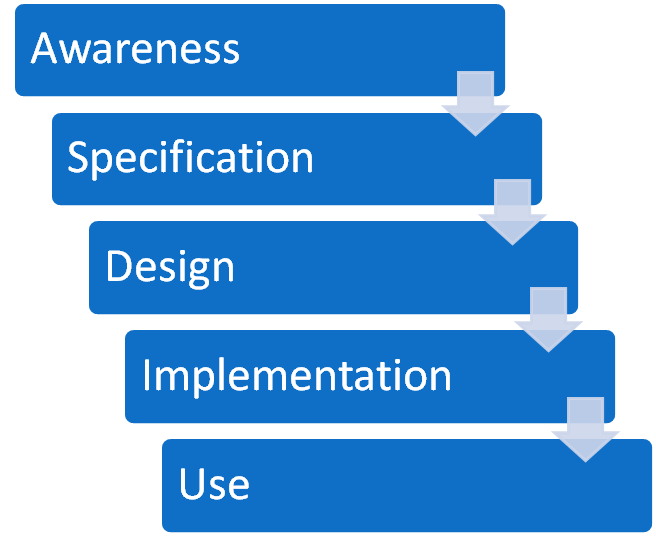 To me, to achieve and ensure effective control there are a number of key steps, which are illustrated in the following diagram. First of all employers need to be aware that they have a risk to health. Without this there is no reason to introduce controls, which, after all, is likely to appreciable involve time and money. Yet there are many situations in industry where significant health risks are unrecognised and, therefor, remain uncontrolled. Once the risk is recognised, employers need to be committed to resolving it and arrange or take effective actions. Once the need to control a risk is recognised it’s important that employers think carefully about what controls are appropriate – i.e. they need to be properly specified. Too often personal protective equipment (PPE) will be introduced as the “easy” solution. But PPE is rarely as effective as people believe and, if it is used and managed properly, it will not be as cheap as expected. PPE should be a last resort. Other types of controls will usually be more effective and often cheaper in the long run. Where engineering controls (such as containment or local exhaust ventilation) is to be introduced it’s important that they are designed competently and this will normally require engaging external contractors. But employers need to ensure that the designers are given a proper, detailed specification. The truth is that this is rarely the case. Too often, employers rely on PPE to control exposure. There's usually a better solution available. All controls should be properly designed to suit the process and the associated risks. This is particularly a problem with local exhaust ventilation, where “off the peg” systems are often installed which are and not suitable for the application or where the designers don’t understand the risks resulting in inappropriate and ineffective designs. Even where the controls are well designed they need to be properly implemented. At the very least this will involve verifying that they achieve effective control and meet the design specification. With engineering controls they need to be properly commissioned. Too often this doesn’t happen. Once the controls have been implemented they need to be properly managed to ensure that during use they continue to do the job they were designed to do. This will require training, supervision, maintenance, testing, audit and review. A trained and experienced occupational hygienist will have the knowledge and skills to assist employers throughout this process. The BOHS is a small organisation with limited resources, but it has a committed and enthusiastic membership. Nevertheless it has role to play in improving the control of health hazards in the workplace. In my experience employers need straightforward, clear and simple guidance to help them minimise health risks. 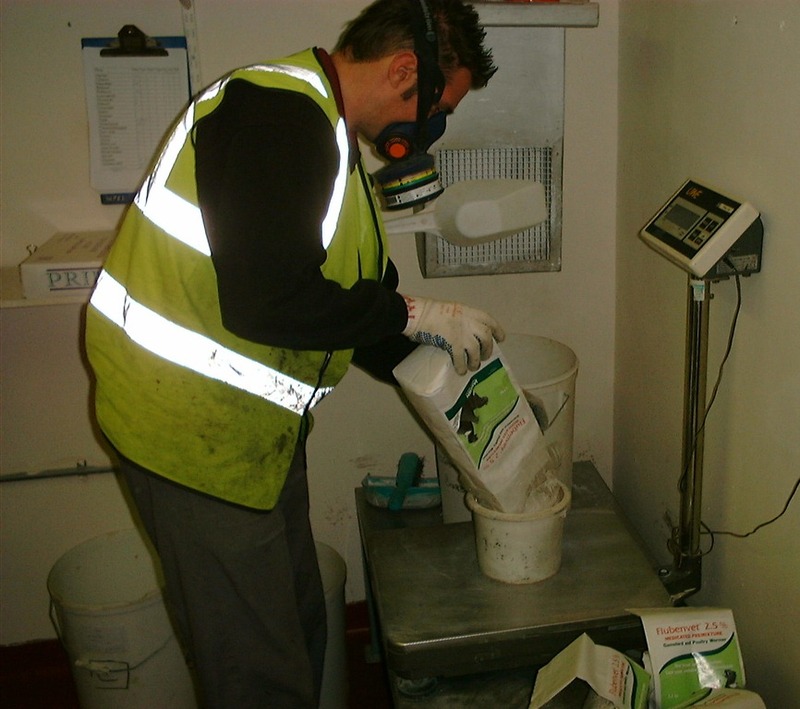 A good example of this are the control guidance sheets produced by HSE as part of the COSHH Essentials control banding tool including a good number of sheets aimed at specific processes. I think BOHS could take these as a model, collating good practice from the industries where our members work and producing simple guidance that our members, and others could use to help our employers and clients. Remembering that effective control isn’t just about the design of the “hardware”, we should also aim to produce simple guidance covering the management of controls. We could also look towards working with HSE promoting their guidance and making it more accessible. 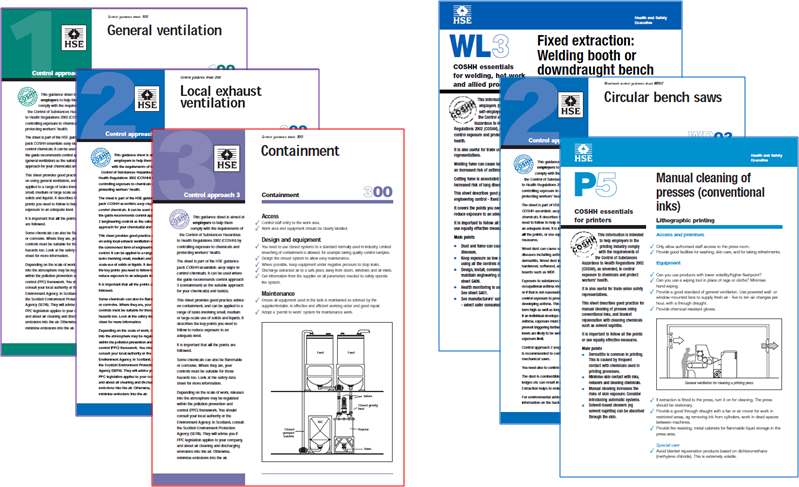 The COSHH essentials sheets are also meant to reflect good practice, and as this changes they can become out of date. Again, perhaps we could find a way of working with HSE so that we can contribute to the review and modification of the guidance so that they continue to reflect current good practice. 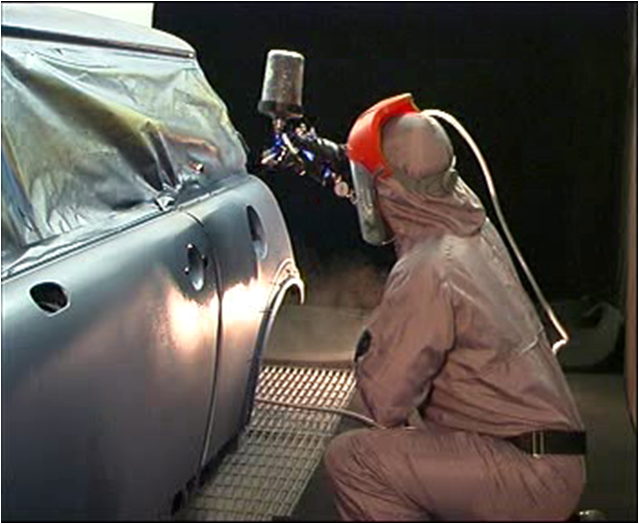 We recently received a query from a client who carry out paint spraying of isocyanate based two pack paints in a large walk-in type spray booth. They wanted us to carry out sampling to help them to decide when it was safe to enter the booth without their workers wearing their air fed masks. This sounds like a good idea. In fact it’s essential for workers to know when the paint spray has been completely cleared from the booth. Isocyanates are very potent respiratory sensitisers causing asthma in susceptible individuals. Anyone sensitised to isocyanates will experience asthmatic symptoms even if they are only exposed to very low concentrations. However, air sampling isn’t the best way to determine the “clearance time”. If it was possible to use a direct reading instrument that gives a reading of the instantaneous concentration it would be relatively easy to determine when the booth was cleared. 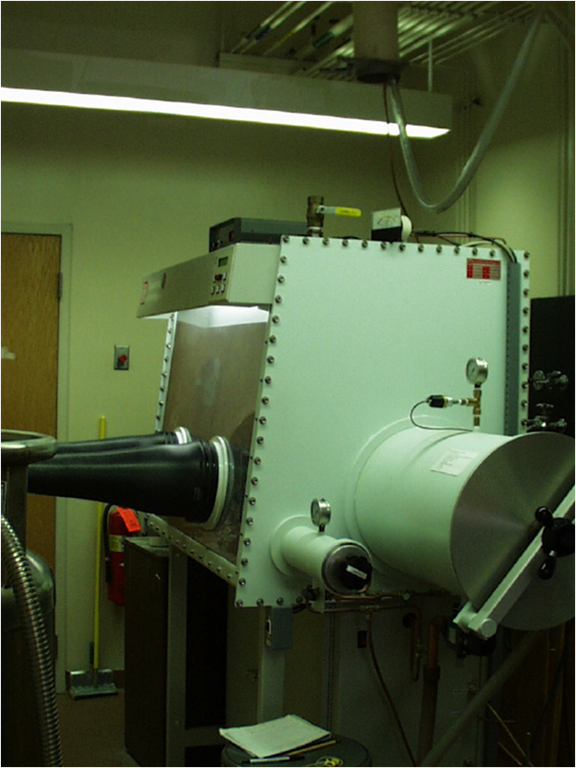 Unfortunately there isn’t a direct reading instrument that can be used for isocyanates. Sampling has to be carried out using an integrating technique – that means that a sample is collected over a period of time, and, after it has been analysed in a laboratory, it is then possible to determine the average concentration present during the sampling period. To determine the “clearance time” a series of samples would have to be taken one after another. This would be expensive (the analysis isn’t cheap) and the standard method for isocyanates is not particularly good. The samples are collected by bubbling air through a reagent dissolved in toluene and as a low detection limit would be required it’s difficult to take samples over a short period. Consequently its better to use a different approach, releasing smoke into the enclosure and then timing how long it takes for it to be completely removed from the booth. This method is quicker, less messy and much less expensive. The test can also be used to check that there are no leaks from the booth – any smoke escaping should be clearly visible. 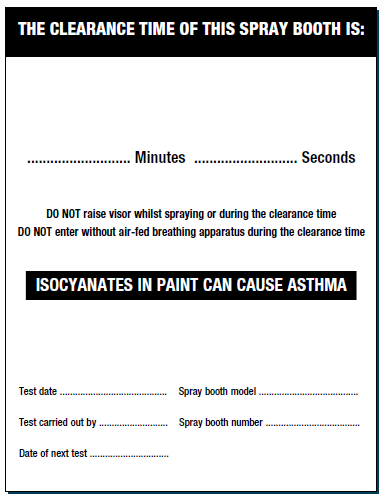 The Health and Safety Executive explain how to carry out this test in their publication “Controlling isocyanate exposure in spray booths and spray rooms” which can be downloaded from their website here. The following videos show a smoke test taking place in a typical booth. The HSE would like to see automatic clearance time indicator fitted on walk-in spray booths, but in my experience few have them. This is something that should really be addressed by the manufacturers and suppliers of the equipment. A new booth should already have them fitted, and clearance times should be established during the commissioning of the equipment after it’s been installed. Following on from the initial test checking the clearance time should also form part of the statutory thorough examination and test required for LEV systems under COSHH Regulation 9. All engineering controls deteriorate over time, so the time taken for the contaminants to clear is likely to increase, even with a well maintained booth. Glove boxes are often used in the pharmaceutical industry to control highly toxic “active” agents used in drug formulations. In principle they should provide a high degree of protection for the user. The contaminant is completely contained inside an extracted enclosure while the worker is outside. So when we’re carrying out a risk assessment and spot that the work is carried out inside a glove box we might assume that exposure will be well controlled. However, we have to be careful – sometimes the opposite is true. Looking at the above picture you can see that the gloves are sticking out of the enclosure. This is a good indication that the enclosure is under positive pressure. This means that contaminated air will leak out through any gaps or breaches in containment, potentially bringing contaminants out with it to which the operator will be exposed. Such “positive pressure” booths are often used for quality considerations – to protect the product from contamination – and this is probably the case here.